Hey everyone, I would like to start using Apple Music now and was hoping there was an app or service that is highly recommended for transferring a Spotify library to Apple Music! 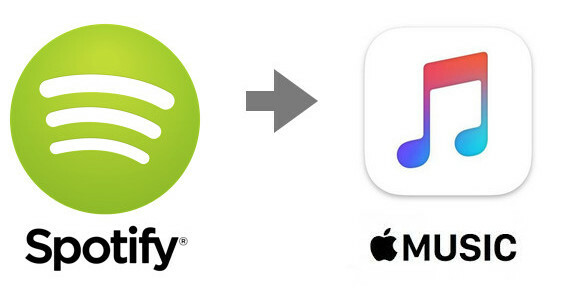 If you want to switch to Apple Music from Spotify, you probably want to transfer your favorite Spotify playlists to Apple Music too. But often, you will find out that it seems to be an impossible task, as each song from Spotify is protected, even the paid subscribers are not able to enjoy their downloaded Spotify songs on any app other than Spotify. In this case, the only way to get full ownership of your music from Spotify and be able to import those songs to Apple Music is converting the protected Spotify songs to plain MP3 or other common format. But the real question is how to do it? Fret not, as there is a powerful Spotify converter can help you complete the task perfectly. Read on and learn how you can easily convert Spotify music to MP3 format and transfer to Apple Music by following a few simple steps. The smart tool we are talking about here is called TunePat Spotify Converter. It is an one-stop Spotify music converting software, built with an innovative encoding technology, able to convert any Spotify song, album, playlist to MP3, AAC, WAV, or FLAC format without installing any extra software including the Spotify app. Based on this distinct feature, though TunePat Spotify Converter has a handful of rivals in the aspect of Spotify music conversion, it is the most prominent and handy. With the help of such a tool, you can transfer all your Spotfiy playlists to Apple Music without any restriction. 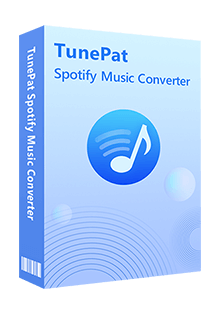 TunePat Spotify Converter is available on both Windows and Mac computers, here we take the Windows version as the example to show you the detailed steps about how to convert Spotify songs to MP3 format and import to Apple Music. Once the conversion is done, you can find your downloaded Spotify songs in MP3 format by clicking the "History" button on the bottom right corner or directly going to the output folder you customized in previous step. Now please open iTunes, click Files > Library > Import Playlist to import the converted Spotify songs from the local folder to iTunes. Video Tutorial: How to Convert Spotify Music to MP3? Note : The free trial version of TunePat Spotify Converter enables us to convert the first three minutes of each song and convert 3 music files at a time. We can unlock the time limitation by purchasing the full version.